Cities have become a central focus of study globally, as both residents and visitors continue to flock to urban areas and more than half of the world’s population now lives in cities. Places where artists, designers, and craftspeople cluster become magnets for residents, tourists, and economic development. Creative amenities including galleries, speciality restaurants and craft stores, and creative businesses such as architecture firms, design companies, and fashion production studios enhance the quality of life in any urban area. It’s common knowledge now that these creative hubs often are located in the centre of cities, where the building stock is cheaper and where these creative people can afford to establish studios, businesses, and amenities that serve them and their wide circle of friends. Interventions incorporating the creative economy also have been gaining in popularity, including cultural districts, festivals and fairs, support for anchor cultural institutions, and the fostering of cultural entrepreneurship. Numerous municipal policy options may be implemented, such as tax incentives for developers incorporating creative amenities, and options that promote the clustering of the creative class. Academics and planners alike have observed and studied the cycle that often accompanies this kind of development, which begins with creatives agglomerating in an area and progresses to a stage wherein the cultural sector is priced out of the neighbourhood and relocates, beginning the cycle anew. Many policies and programs are aimed at the central areas of cities, or what commonly is thought of as “downtown.” What is the idea of downtown? It might include places such as historic city centres, central business districts, and areas in which residents, tourists, and creative producers and consumers cluster. There are numerous kinds of downtowns, such as: 9-to-5 business areas which are empty at night; oversaturated city centres that are losing their creative anchors; derelict downtowns experiencing blight; fabricated downtowns built from the ground up; and exemplary urban areas that are healthy, flourishing, and vital. My research shows increased interest in downtown living, especially by millennials and baby boomers. Millennials love walking, buying local, and getting to know business owners. Baby boomers are empty-nesters leaving their suburban homes. They all want to be where the action is – and downtown is the place to be. It needs to be a downtown with shops, cafés, restaurants, and other amenities, so that these new ‘Center City Citizens’ can have fun after work or enjoy themselves during the day if they are retired. They need density. They need creativity. They need art and culture. But when prices go up, including live/work spaces, many creative people and cultural businesses are forced to leave the city centre, diminishing vitality downtown. In understanding downtowns, we can look at ways that the creative sector has become perceived as an economic engine and a key tool in the policy toolbox for building the urban brand, drawing in residents and tourists, and spurring financial investment in the centre city. There is increased interest in exploring the integration of arts and culture into the urban environment in China. In addition, the creative community’s role as a driving economic force has been widely recognised there. It is important to identify the assets, challenges, and opportunities in the city of Beijing from the point of view of a variety of stakeholders. These include policymakers, residents and visitors, artists and arts organisations, developers, commercial businesses, and creative entrepreneurs. There are numerous voices, financial and professional realities, and forces to be considered. Integrating arts and culture can build the brand, draw new residents, and attract visitors. 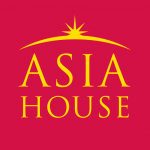 In Beijing, arts and cultural amenities abound, including the 798 Arts District, the trendy Caochangdi Art District and the destination 22nd Street International Art Plaza, as well as cultural anchor institutions like the behemoth National Centre for the Performing Arts and the National Art Museum of China. Together with the wealth of small and mid-sized cultural entities, these cultural destinations and experiences define the brand of Beijing as more than a highly-populated mega-city. A plethora of temporal cultural events, including China Fashion Week and the highly publicised Beijing College Student Film Festival offer opportunities for arts and culture take-up to residents and visitors alike, without financial barriers to entry. 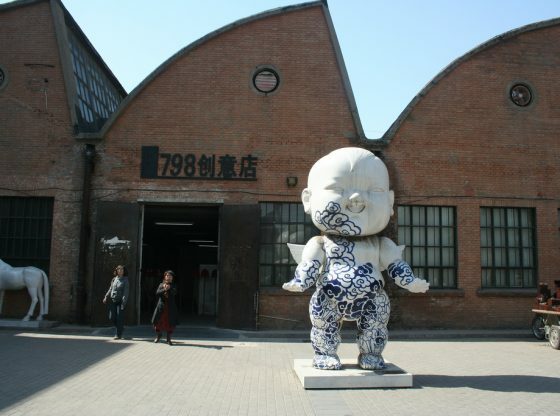 Additionally, Beijing is home to creative clusters such as the Dagao International Art Zone, which echoes New York City’s SoHo, and the fashion industry’s BIFTPARK — each of which foster innovation and cultural development, recognising that proximity is important in encouraging the growth of idea exchange. Policy theories and frameworks can be powerful tools in the service of analysing cultural policy learning and adaptation in Beijing. Since it is not feasible to penetrate the policy-making that occurs behind closed doors in the Chinese State, in my recent article on Beijing I employed a positivist method in looking at the outcomes of shifts in opportunities and subsequent policy interventions. The 798 Arts District and the National Centre for the Performing Arts (NCPA) are two cases I discuss that illustrate theories and practice regarding policy entrepreneurship, cultural planning, and creative city-building. The 798 Arts District is a case of policy adaptation, wherein the government supported a burgeoning arts destination after a struggle for legitimisation. The 798 Arts District now has become one of the largest of its kind in the world, drawing numerous local, national, and international visitors annually. The NCPA was brought to life as the result of what is known in the Multiple Streams Policy Framework (MS) as an open policy window, which in this case was the Olympic Games to be held in Beijing in 2008. Numerous actors coalesced to seize this opportunity to feature China’s culture and creativity on the world stage, fostering the building of the massive performing arts centre. This is an illustration of the MS Framework, in which the three streams of problem, politics, and policy must align in order to enact change. Since Beijing has numerous examples of creative clusters, arts districts, cultural anchors, and temporal events, it is a city from which other urban areas can learn. Studying Beijing’s creative hubs offers scholars, policymakers, urban planners, and the public the opportunity to look at ways that policy learning and adaptation are alive and well in China. Through the use of policy theories, we can analyse ways that China is incorporating lessons from cities around the world in order to formulate bespoke solutions to the challenges of fostering cities with a wealth of arts and cultural producers and consumers. Since many of these interventions occur in urban areas, it would be useful to apply the lenses of placemaking and cultural destination planning to these investigations. A deeper understanding of the creative downtown can inform policy formation as cities throughout the world strive to be financially healthy, socially just, and sustainably creative. Shoshanah Goldberg-Miller is Assistant Professor in the Department of Arts Administration, Education and Policy, Affiliate Assistant Professor of City and Regional Planning in the Knowlton School of Architecture at The Ohio State University. She serves as Academic Advisor to the City of Toronto’s Department of Economic Development and Culture. Her book, Planning for a City of Culture: Creative Urbanism in Toronto and New York brings a new, fresh perspective to the study of creative cities by using policy theory as an underlying construct to understand the role of arts and culture in both the transformation of Toronto and the revitalisation of New York during the decade of the 2000s. Image Credit: CC by Kristisan/Flickr.